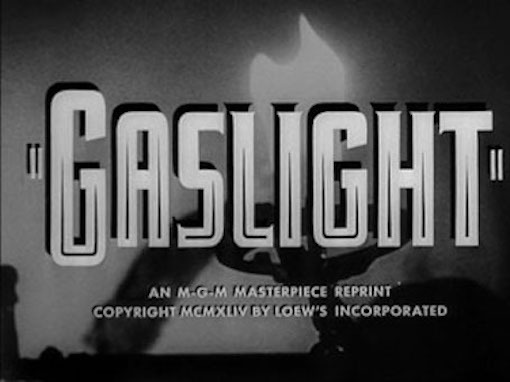 Fatal Attraction (1987), Groundhog Day (1993), The Fully Monty (1997) and Catfish (2010), the term to gaslight (or gaslighting) entered the lexicon. The term signifies a form of psychological abuse, in which the abuser manipulates their victim into doubting their own sanity. British writer Patrick Hamilton's 1938 stage play Gaslight deals with [SPOILER ALERT .... But, given that this film was released over 70 years ago, I assume the statute of limitations on spoilers has actually passed in this case] a husband gaslighting his new wife. The play was adapted into a British film in 1940. In a deal that stipulated that all existing prints of the original film could be destroyed, MGM purchased the rights to remake the film (some prints, however, survived - and the original film is still in circulation). George Cukor was one of Golden Age Hollywood's best directors. Over a half-century career, the five-time Best Director Academy Award nominee gifted audiences with such classics as Little Women (1933), Camille (1936), previous Five Star Film The Women(1939), Adam's Rib (1949), A Star is Born (1954) and My Fair Lady (1964), for which he received his only Oscar win. Cukor's masterful direction of Gaslight makes for an extremely affecting psychological thriller. He skillfully creates an oppressive mood and suspenseful feel in the Victorian town house in which the film's most famous scenes are set. His deft touch and the artful way he leads his cast through complex emotions is just exquisite. Cukor's work with Ingrid Bergman, star of previous Five Star Film Casablanca (1942) is particularly impressive. Paula's journey towards madness is a masterclass in superior acting. Under the manipulative spell of her husband Gregory (Charles Boyer), Paula's paranoia is absolutely palpable. Paula's journey in the film is a difficult ask for any actor. Near the beginning of the film, she is a young newlywed, madly in love. The character must slowly unravel as the film progresses. Bergman takes Paula on this difficult journey into the hell of her own mind, in her own house. The audience is pulled along with her, as we see right into her head, and marvel at the depths she must endure. For Bergman's stellar work in Gaslight, she was rewarded with a Best Actress Academy Award, beating that year's other female acting luminaries Bette Davis, Greer Garson, Claudette Colbert and Barbara Stanwyck (for her role in previous Five Star Film Double Indemnity). Bergman's Gaslight Academy Award was the first of her three Oscar wins, from a career total of seven nominations (her other wins were Best Actress for 1957's Anastasia and Best Supporting Actress for 1975's Murder on the Orient Express). Bergman also won the Golden Globe for Best Motion Picture Actress for her role as Paula. (The 1945 ceremony, for films released in 1944, was only the second such ceremony - and this was in the days before the Golden Globe acting awards were split into Drama and Musical/Comedy ... but don't get me started on some of the GG's baffling film categorisation decisions that have been made over the years!). 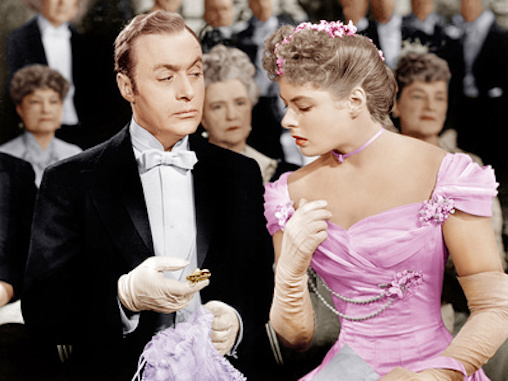 French actor Charles Boyer's work as Gaslight's leading man Gregory is terrifically strong and layered. Boyer's portrayal of Gregory's double-life as outwardly-appearing concerned husband and behind-the-scenes sinister mind-fucker is quite remarkable. His manipulation skills are a disturbing wonder to behold. Gaslight also features the handsome, dashing Joseph Cotten as police detective Brian Cameron. The always-solid Cotten had only risen to prominence three years earlier, in Orson Welles' iconic Citizen Kane (1941). In the period between Kane and Gaslight, Cotten would star in five other films, including another for Welles (1942's The Magnificent Ambersons) and one for Hitchcock (1943's Shadow of A Doubt). Quite an auspicious early run of films. In Gaslight, Cotten's Brian is a striking contrast to Boyer's Gregory: a reliable, stand-up guy, on a mission to follow his intuition (and perhaps his heart) to get to the bottom of a situation that appears to be 'not quite right'. Special mention should be made of the wonderful Angela Lansbury, in her screen debut. 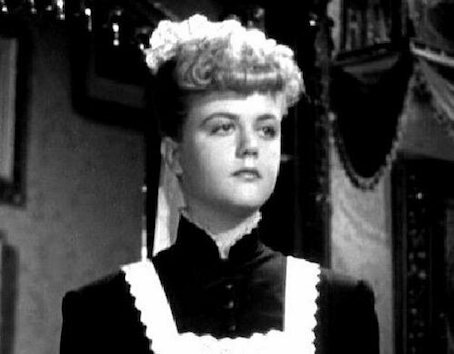 Four decades before her most famous role (twelve years as Jessica Fletcher in TV's Murder, She Wrote (1984-1996), seventeen-year-old Lansbury played Gregory and Paula’s maid Nancy. At the time of her screen test, she was a shopgirl with absolutely no acting experience. Cukor was said to be impressed with her raw, natural talent. During filming, the character of Nancy was called on to smoke a cigarette. Though child actor labour laws were not as strict in the 1940s as they are now, Lansbury's on-set social worker wouldn't permit Lansbury to smoke the cigarette while still a child. As Lansbury turned eighteen during the latter part of the shoot, the schedule was re-jigged, so that her smoking scene could be delayed until her birthday. Lansbury's a delight as the cheeky Nancy, who manages to fulfill her required work tasks, but still give off an air of a teenager who wants to roll her eyes at every duty request. Lansbury is so good in the role, it's mind-blowing that she hadn't acted before. She received an Academy Award Best Supporting Actress nomination for this film debut. Other Oscar nominations would follow the next year for The Picture of Dorian Gray (1945) and nearly two decades later for The Manchurian Candidate (1963). Lansbury went on to receive an Honorary Oscar in 2013, in recognition of her contribution to the field of acting. Gaslight’s art director Cedric Gibbons and set decorator Edwin B. Willis, along with associate art director William Ferrari and associate set decorator Paul Huldschinsky shared an Academy Award win for Best Art Direction / Set Decoration (Black & White). Their magnificent work aided in the creation of the film’s claustrophobic atmosphere, particularly in the townhouse interiors. The vast number of props and set dressings in the interior scenes, and their artfully specific placements, were particularly impressive. A final word, this time on the Gaslight’s costumes: Irene (born Irene Lentz) was the costume supervisor, and her associate was Marion Herwood. Along with their team at the MGM Wardrobe Department, they designed, manufactured and stock-sourced all of the film’s costumes. Of most interest are Bergman’s striking, impeccable gowns. Beautiful Bergman could look good in a potato sack, but her gorgeous Gaslight creations made her particularly stunning. Most striking were Paula’s vertical striped dress in her earliest full scene, and her evening dress worn at a recital party later in the film. Though I don’t know how Bergman (and the women of eras such as the Victorian, in which the film is set) breathed in those ridiculously tight, restrictive corsets. Gaslight is an iconic classic film from a truly talented director, writers, production team, cast and crew. It’s no less impressive this century that in was in the last.